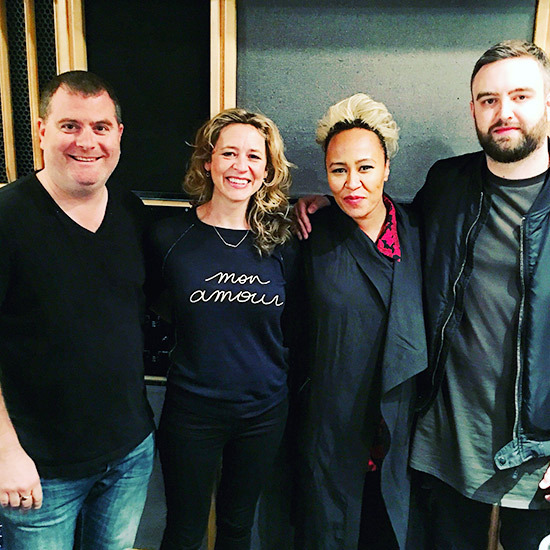 We were lucky enough to have the opportunity to record with Emeli Sande at Air Lindhurst recently with producers Chris Loco, TommyD and engineer Jake Jackson. Emeli sang live in the studio with the strings and it was absolutely amazing! Her voice is better than ever! This session was one of the best we’ve done so far this year. Rosie Danvers, TommyD and Patrick Kiernan at Air Lindhurst. April 2016. 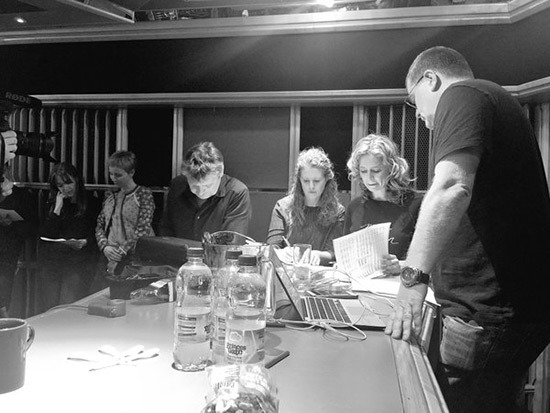 TommyD, Rosie Danvers, Emeli Sande and Chris Loco after their recording session at Air Lindhurst, April 19th, 2016.